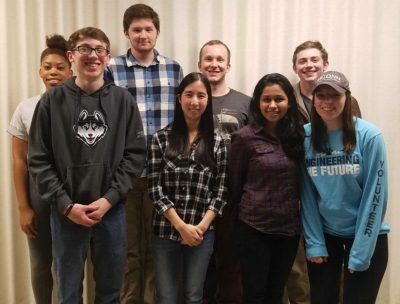 UConn Material Advantage Student Chapter is a professional organization for MSE undergraduates, as well as prospective MSE students or anyone interested in Material Science in general. Our main goal as a chapter is to provide our members with career development opportunities as well as organizing outreach events to educate the general public (specifically students K-12) about Material Science. Material Advantage is not just a professional society, it’s a community of students dedicated to helping each other meet their goals. To join, please contact us via email. Materials Science & Technology Conference and Exhibition Columbus is a 5 day event being held from 14th October to the 18th October 2018 at the Greater Columbus Convention Center in Columbus, United States Of America. This event showcases product from Education & Training, Minerals, Metals & Ores industries.